As those light red bars indicate, Rob has set up some display: grid; columns to align elements in the article to those axes. A classic "editorial layout" indeed. But there really is no good mechanism to place that image onto the grid and maintain the wrapping. By placing both the content and the image into separate grid items, you don't get the wrapping. You can use float, but that's not using the grid. Rachel Andrew chimed in that the answer is CSS exclusions. While Rob's example ultimately had to use floats, Rachel re-did it with exclusions. 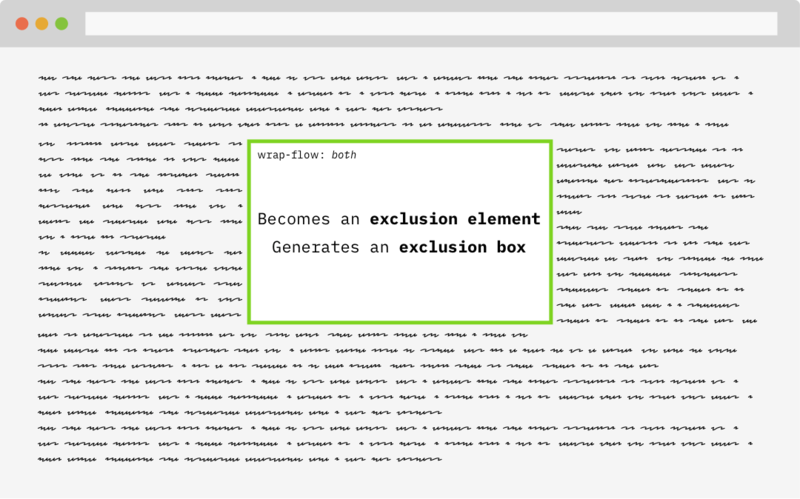 Exclusions make the code much simpler. Perhaps we can chime in with thumbs up on Rachel's call to see what's up with the status of the spec and with other author use cases.